Time to depart our second home, Casa Bolsinina, today and head up for a beautiful lunch in the Chianti region of Tuscany. Here, a photo with the group, everyone holding their favorite painting. 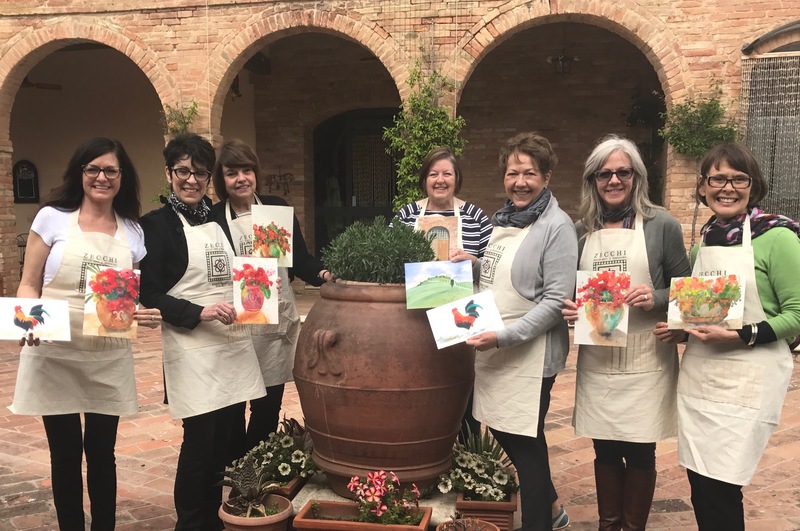 Here we are in all our glory, wearing our aprons from an art store in Florence. Okay, I’m having a few technical difficulties with WiFi. This is the only pic I am going to post from today. More tomorrow!